One of the SEO tips given by many professionals is to make sure to host your web site in the country you want it to rank in. The truth is, it isn't that important and may be irrelevant in many cases, Google said. 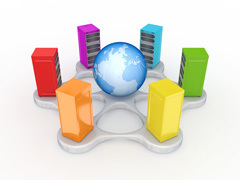 For search, specifically for geotargeting, the server's location plays a very small role, in many cases it's irrelevant. If you use a ccTLD or a gTLD together with Webmaster Tools, then we'll mainly use the geotargeting from there, regardless of where your server is located. You definitely don't need to host your website in any specific geographic location -- use what works best for you, and give us that information via a ccTLD or Webmaster Tools. But overall, it is nice to see such a strong word used by John, as "many cases it's irrelevant."